This week’s stitch on the TAST 2013 challenge by SharonB is woven detached chain. 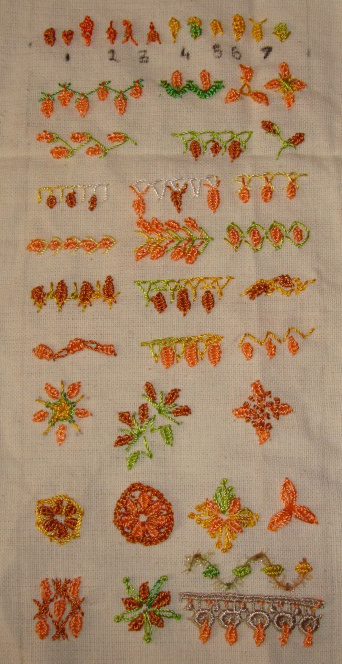 Sharon has been developing the challenge stitches in a very great way. 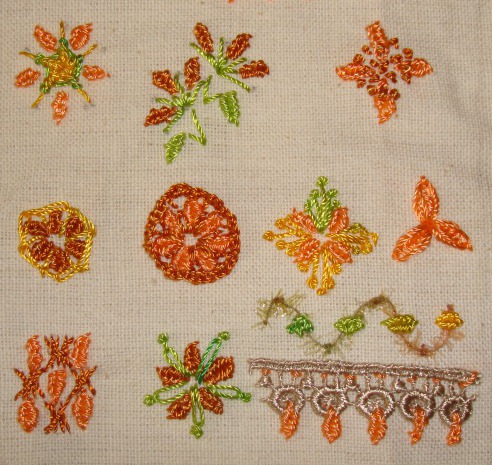 The previously known stitches are slowly evolving into textured ones. 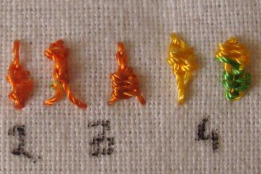 By exploring these stitches, my stitch variations are also becoming interesting. 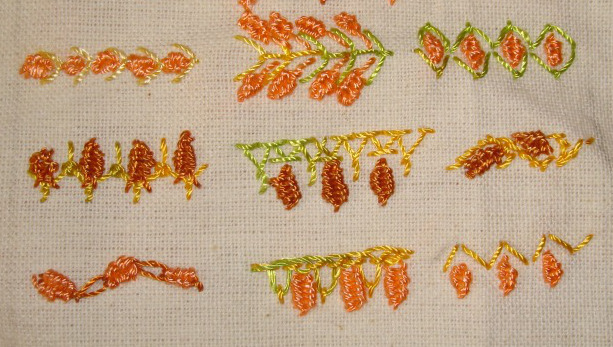 Left to myself, I wouldn’t have even thought of trying the finer aspects of these stitches. 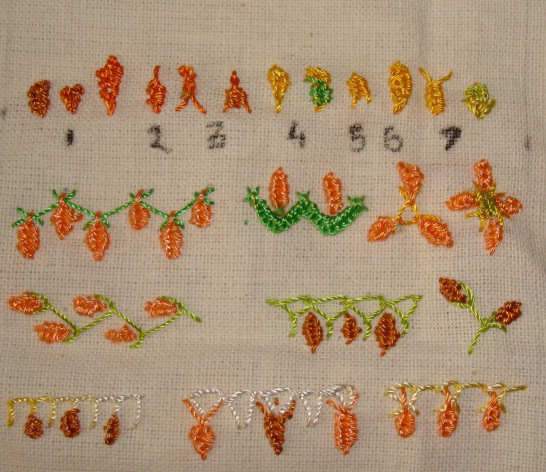 Today I tried this simple stitch with small variations. 1a.These three are medium, short and long version of woven detached chain. # 2 is woven detached chain with a long arm. 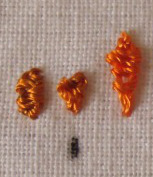 #3 are two ways of weaving twisted chain stitches. # 4 first detached chain is half woven and the second detached chain is woven with two threads. # 5 is woven open chain stitch. 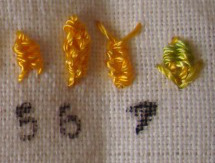 # 6 is woven berry stitch.# 7 has two versions of woven wheat ear stitches.